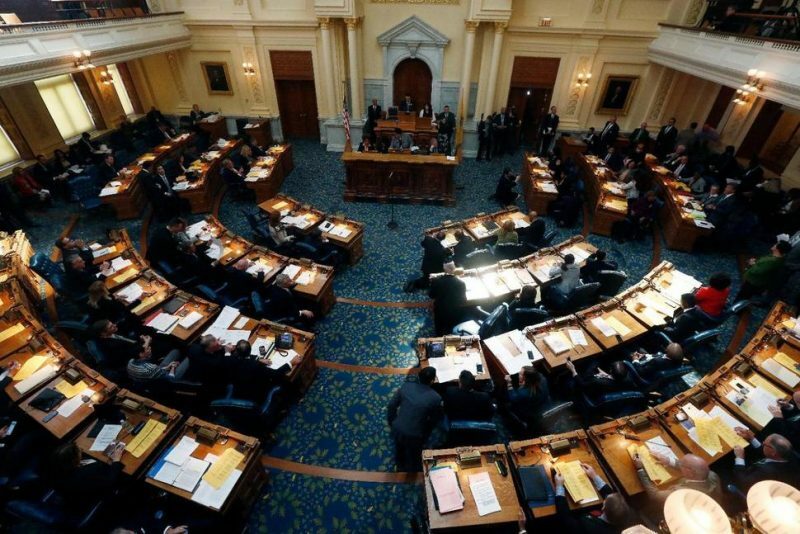 TRENTON, N.J. — New Jersey’s Democratic-led Assembly on Monday waded into the debate over marijuana legalization, drawing hours of testimony both for and against making it available. The Assembly Oversight Committee held the hearing in Trenton, with three additional meetings planned for the spring across the state. The issue is front and center after Democrat Phil Murphy won last year’s gubernatorial race while campaigning for legalization. Despite Murphy’s support, some in the Democratic-led Legislature are questioning whether New Jersey should join the nine other states and the District of Columbia in legalization the drug. There was no specific bill under consideration on Monday, though legislators have introduced a measure that would legalize the recreational use of marijuana for those who are at least 21 years old. Advocates said legalization could boost state revenue and the economy, help end a pot-fueled black market and reduce drug-related arrests. Opponents disputed those findings. Lawmakers heard extensively from out-of-state officials, including Massachusetts Cannabis Control Commissioner Shaleen Title and Democratic Colorado state Rep. Dan Pabon. Pabon said he voted against legalization in 2012, but has since changed his view, praising how his state focused on keeping marijuana away from children, criminals and drug cartels. He suggested that lawmakers begin keeping data on drug-related emergency room visits and so-called driving while drugged incidents, so New Jersey has a baseline of data if legalization moves forward. Pabon said legalization comes down to getting support from a majority of people who will not use the drug but would benefit from the new tax revenues. Former New Jersey State Police Superintendent Col. Rick Fuentes told lawmakers that he has concerns about legalization based on his meeting with a counterpart in Colorado, specifically citing higher instances of driving while under the influence of drugs. Las Vegas Metropolitan Police Capt. Todd Raybuck said he has seen the “harmful impact” of legalization firsthand since Nevada legalized the drug last year. The hearing at times hinged on emotional testimony from both sides. Rob Cressen, a former state Republican Party official, backed legalization. Cressen suffers from complex regional pain syndrome and uses medical marijuana. “Simply put it’s about liberty, the liberty for adults to make our own choices on how we medicate and how we recreate. Cannabis has saved me,” he said. Luke Niforatos, an opponent and the chief of staff and senior policy adviser for Smart Approaches to Marijuana, which opposes legalization, said he and his wife left Colorado because of the drug. He said they were walking their 16-month-old daughter in Denver when they passed through a cloud of marijuana smoke and became concerned about her well-being. “This has not been the panacea we were promised,” he said.